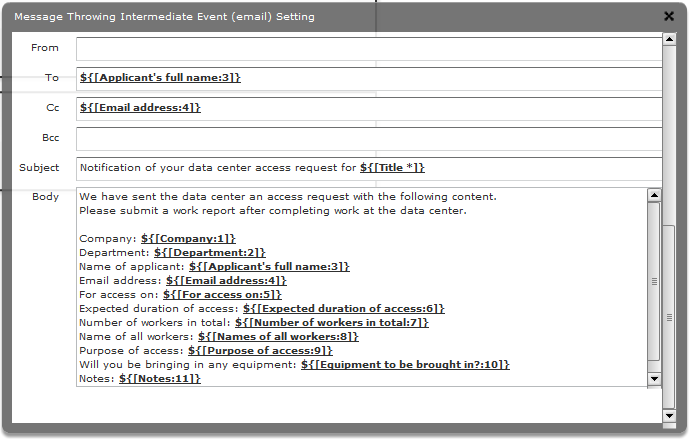 Today's workflow is for managing "who" enters the data center "when" and "for what reason." It should also guarantee that reports are submitted without fail after work in the data center is finished. Compared to access management done by paperwork, this ensures compliance because the recorded data is more reliable. Even better, use a Message Throwing Intermediate Event to automatically send an email to the applicant.